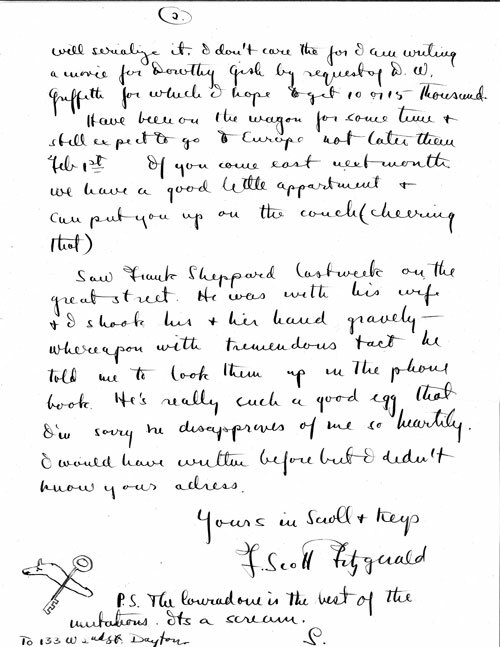 In a circa 1920 letter to his friend Donald Ogden Stewart, F. Scott Fitzgerald discusses reading Max Beerbohm’s Seven Men and The Happy Hypocrite and recommends to Stewart Theodore Dreiser’s The Titan (“his best and most fascinating book”). 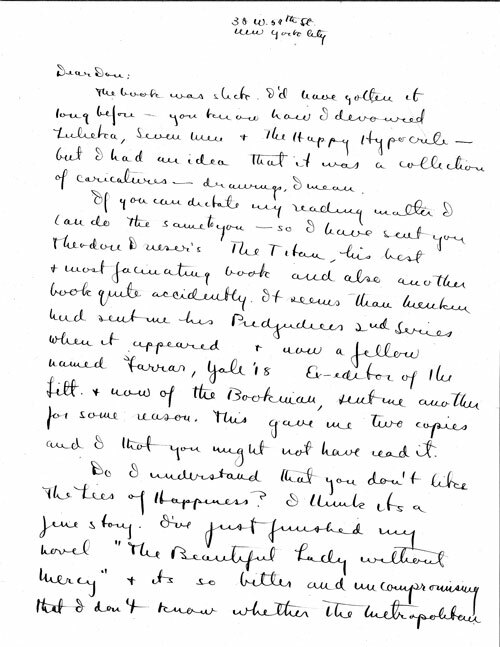 Fitzgerald, who was then living in New York with Zelda, discusses finishing his novel The Beautiful and Damned, originally titled The Beautiful Lady Without Mercy, and his concern that the novel is too “bitter and uncompromising” to be published in the Metropolitan Magazine. Donald Ogden Stewart and Ella Winter Papers. Yale Collection of American Literature, Beinecke Rare Book and Manuscript Library.